China's growing interest in the Arctic and its energy giants' enthusiasm for Arctic oil are seen as a welcome source of extra income in Greenland, and a perennial cause for security concerns in both Copenhagen and Washington, where Beijing is seen as a challenger. China National Petroleum Corporation (CNPC), China's largest oil company with over one million employees, and China National Offshore Oil Corporation (CNOOC), the country's third-largest oil company, which previously took part in oil drilling in Iceland, have voiced their interest in obtaining licenses for oil exploration in Greenland, Danish Radio reported. Representatives for both of the Chinese companies have met with Greenlandic Energy Minister Aqqalu Jerimiassen and requested follow-up meetings over plans to drill for oil on the Nuussuaq peninsula above Disko Bay after 2021. This marks the first time China has shown an interest in oil extraction on the world's largest island, notorious for its barren climate and sparse population of about 55,000, a perspective the Greenlandic authorities have described as "positive." 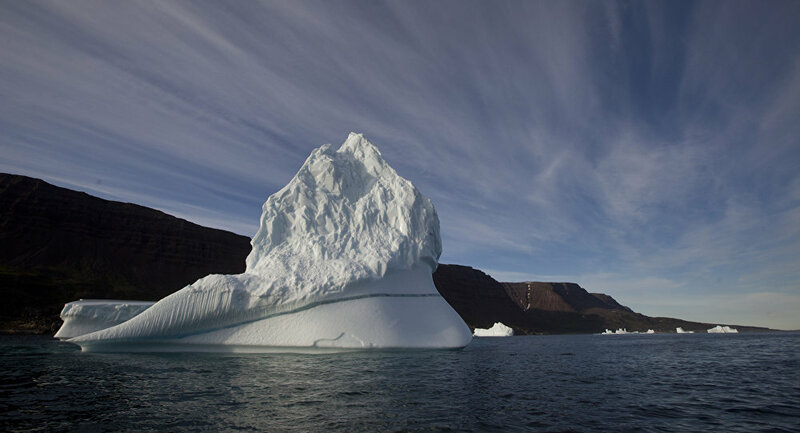 Greenland has for years cherished the notion of expanding its raw materials sector, in order. This, many expect, would ensure a steady income that over time could offset Copenhagen's annual subsidy of DKK 3.5 billion ($660 million) and ensure greater independence from Denmark. The search for extra revenues has intensified in light of the fact that Greenland is facing a widening gap between income and welfare costs as its population continues to age. Previous geological studies have estimated that Greenland's depths harbor as much as 50 billion barrels of oil and gas. Denmark's own oil extraction projects in the North Sea started in 1972 and have since resulted in 3.8 billion barrels of oil and gas, enriching the treasury with DKK 415 billion ($57 billion). Previous attempts to recover the Greenlandic oil have failed. Scotland's Cairn Energy, the only company to invest in Greenlandic oil exploration in recent years, was unable to make things work and had to retreat. As oil prices fell from over $100 barrel in 2008 to 40-50 dollars in 2016, all other companies that had acquired exploration rights in Greenland returned their licenses. Oil extraction in the Arctic is not only notoriously expensive, but also fraught with environmental risks due to the extreme climate. "It is far easier and cheaper to investigate, expand and operate onshore. This also means faster returns," Jørn Skov Nielsen of the Greenlandic Energy Ministry told Danish Radio. In recent years, China has shown a rising interest in Greenland. Chinese companies have come up in connection with plans to extract rare earth metals and uranium in southern Greenland and zinc in northern Greenland. China also announced plans to establish a research station on Greenland, whereas a Chinese university entered an agreement to establish a satellite receiver station in cooperation with Greenland's Nature Institute. In exchange, Greenland plans to open an office in Beijing. Meanwhile, China's appetites in the Arctic, including Greenland, have alarmed both the US and Denmark. In its latest risk assessment, the Danish Defense Intelligence Service (FE) pointed out risks associated with the Chinese investments in Greenland "as a result of close ties between Chinese companies and the Chinese leadership." It also warned of a major impact on Greenland's small population of only 55,000. In 2016, Denmark stopped China's plans to buy a defense facility which wasn't being used. In September 2018, the Greenlandic authorities submitted to Copenhagen's pressure and chose the Danish government over a Chinese company in a massive airport upgrade contract. The US, which has maintained several bases in Greenland for decades, also promised its support for keeping Chinese companies out of Greenland. Katie Wheelbarger, US principal deputy assistant secretary of defense for international security affairs, voiced her concern over China's use of economic investments as an "opening for military presence."